What Deputy Ben Fields did was wrong, what’s worse is the typical (part of the problem) Sheriff who codons and rationalizes such behavior which is obviously wrong. 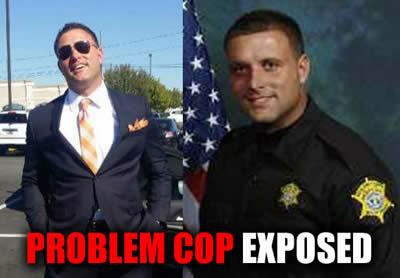 Deputy Ben Fields should be ashamed of his “Bully Tactics” which he has a history of. What Deputy Ben Fields did was unprofessional, outrageous and nothing more than what a common school bully would undertake. Deputy Ben Fields could have applied “Pain Compliance techniques*” instead of man handling a child, further if he was such a big strong guy as he claims he could have just carried the student and desk out into the hallway where the situation would have been neutralized. * Pain compliance involves either manipulating a person’s joints or activating certain pressure points to create sufficient pain to achieve compliance. Police almost always do the same thing to make matters worse with idiotic statements like “we need to see the entire video” or “wait for our long drawn out biased and nonobjective investigation ” which always comes out “Justified. These tactics that lack accountability, transparency and “Personal liability by each officer” are out of control and the key problem in American policing today. Abusive, egotistic, problematic, criminal and mentally challenged officers gain access to deadly force and authority in every city in America. It’s nothing more than an ego trip and way for an insecure person to get authority over others. Once released upon the public it’s nearly impossible to remove them. Commonly they’re released back into the public after useless investigations and manage refuses to demand courts, prosecutors and district attorneys impose harsh punishment and prosecution. Amazing how a criminal once fitted with a badge now has this magical immunity to justice. Why has the reputation of Police gotten so bad? 1. Police can’t admit their wrong even when proven wrong. It’s never been about we’re all “ANTI-POLICE” it’s been about removing obvious bad cops. However cops don’t want to admit there are bad cops thus they stand behind their problem cases with support, lies and rationalize their crimes. A decade ago this was impossible to prove because they always believed the bad cops word over anyone else. Today with video and audio recording being common lying cops have been exposed. “He had a gun, I feared for my life and what if I did not stop him” are all abused, over used and ways to rationalize the actions of criminals not cops. Since when has “Protecting and Serving” become “Judge, Jury and Executioner”? So much for the “You Tube Effect” which they claim is causing police to not be able to do their jobs, on the other hand it is doing what we always knew, Exposing BAD COPS. Without it no one believes the victims over the BAD COPS. Video is cleaning up BAD COPS in America, its never gotten in the way of police, that is nothing more than a lie an propaganda. Deputy Ben Fields is and was a problem cop who never should have been hired and fired the first time events were brought to the attention of management. Does someone need to get killed for management to take action? Stop rationalizing brute force, abuse of power and poor police tactics. If what Deputy Ben Fields did was not “VIOLENT” then next thing you know we’ll be rationalizing shooting students.